The pancreas is an elongated, tapered gland that secretes digestive enzymes and hormones (including insulin) into the ducts that lead to our intestine and aid in digestion. Pancreatitis is characterized by inflammation and necrosis of the tissue of the pancreas, and may be either acute or chronic. Acute pancreatitis is often caused by alcohol abuse or gallstones — in about 80% of the cases. It typically occurs in discrete episodes or attacks, followed by recovery. Acute attacks can cause severe damage to the pancreas. Most episodes of acute pancreatitis are survived and the pancreas gland returns to its normal state. Acute pancreatitis can recur, and if the recurrences are frequent, will typically lead to chronic pancreatitis. Chronic pancreatitis is usually a result of obstruction to the drainage of pancreatic enzymes via the pancreatic ducts into the intestines, and is caused by persistent inflammation of the pancreas. The common causes are cystic fibrosis (in children) and alcohol abuse (in adults). Hemochromatosis, hyperlipidemia or a tumor obstructing the pancreatic duct may also cause chronic pancreatitis. In chronic pancreatitis, the pancreas is irreversibly damaged, and a process known as fibrosis (or scarring) leads to a gradual deterioration of the pancreatic function. This destruction leads to malnutrition, and often to diabetes mellitus, due to the lack of insulin production. There is no specific treatment for pancreatitis, but identification and removal of the cause is the cornerstone of addressing the issue. Surgical treatment may take the form of restoring normal pancreatic function or correction of an associated biliary tract disorder, but in advanced stages of the disease, damage to the pancreas is often too great to reduce the effectiveness of any operative procedure. Is it acute or chronic pancreatitis? When was it first diagnosed?...and is there a known cause? How many episodes have they had?...and how long have they been in recovery? Has there been any surgery done? Underwriting decisions for pancreatitis can range anywhere from Standard (possible Preferred in rare circumstances) all the way to moderately rated, to decline in severe cases. As much detail obtained as possible will help determine what we’ll be looking at tentatively and allow us to quote as accurately as possible. 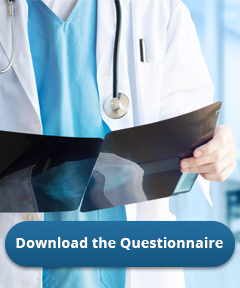 The Pancreatitis Questionnaire will help you gather the info necessary.